HCB started out in the hands of the Paz Figueroa family at the time of Benidorm’s tourism boom and services the areas first tourists. The needs were not those of a normal hospital; the staff had to deal with patients of various nationalities, and that is what they did. Thirty years on, HCB is a private hospital with 400 employees of all EU nationalities, from Russia, the Near East and South America. 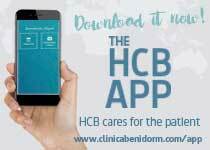 Currently, HCB attends to 80% foreign patients: The majority are Europeans resident on the Costa Blanca and little by little, it is becoming a centre of reference for Health Tourism patients. The other 30% is made up of insured patients and local and national private patients. With over 40 medical services integrated into the same centre for hospitalization, emergency attention and polyclinic, HCB offers medicine backed by the latest scientific-medical advances and it has one main added bonus: staff who put their passion into the needs of their patients and their families. 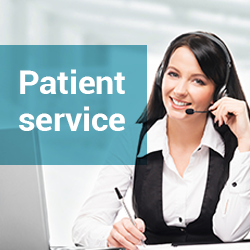 HCB has services grouped by nationality composed of medical, health and administrative staff and multilingual interpreters. 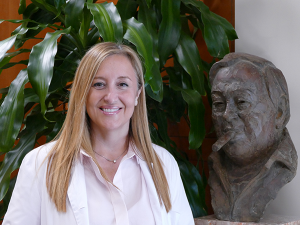 This way of working allows patients to feel more at home and to always be accompanied and supported by people who speak their own language, which makes totally personalized attention possible. 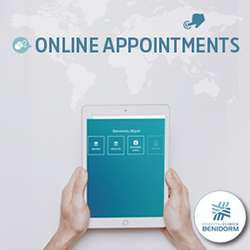 Thanks to its network of polyclinics (El Albir, Moraira, Calpe and Alicante), HCB is extending its private health model to the main towns of the Costa Blanca. To offer quality private medicine at a fair price by keeping ourselves at the forefront of cutting-edge technologies and integrating services which allow us to give the patient comprehensive personalized care. To make ourselves a point-of-reference centre for international patients and to plan to constantly improve quality and patient care.